Inspired by the (much longer) quote: "Set your life on fire. Seek those who fan your flames." ~ Jalal ad-Din Rumi. Random word, random photo. Hand-lettered, vector traced. ‘Hello, Spring’| Daily Drawing #392. ‘Dry-brush’ script with a Kuretake Zig brush pen. Each week I'll be sharing news, tips and five things of interest. ‘Johnny B. Goode: RIP Chuck Berry’| Daily Drawing #391. The legendary bad boy O.G. of rock n’ roll has passed. 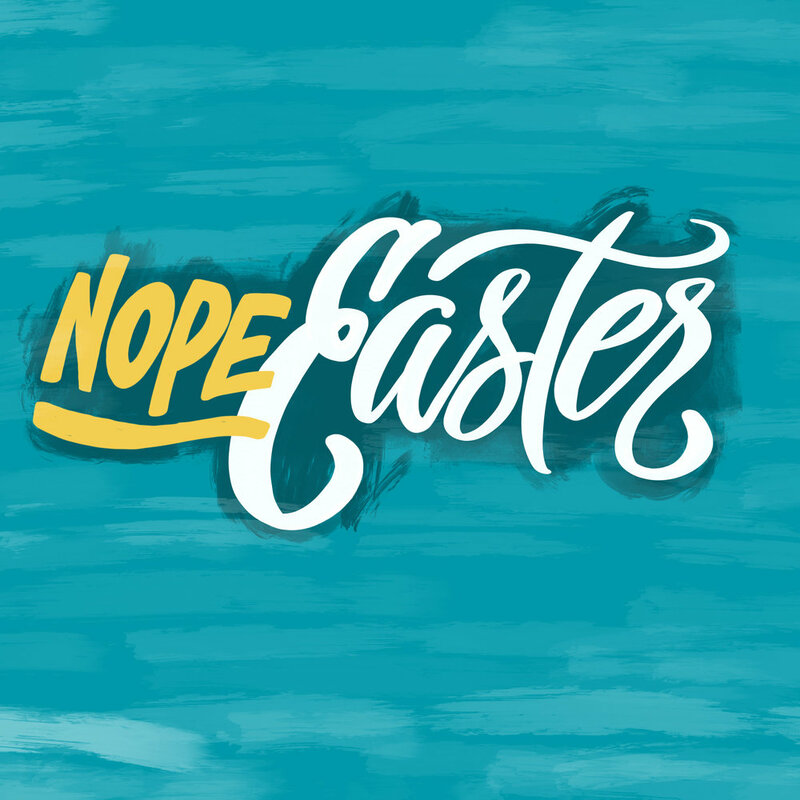 ‘Nope Easter’| Daily Drawing #390. The big storm that was supposed to hit Philly was mostly a bust. Still lots of shoveling and ice and stuff closed and I hate this and want to move to a warm place. 'Practice Your Hustle'| Daily Drawing #387. Put in the work. Good things will happen. When He Lies, His Ears Get Big! 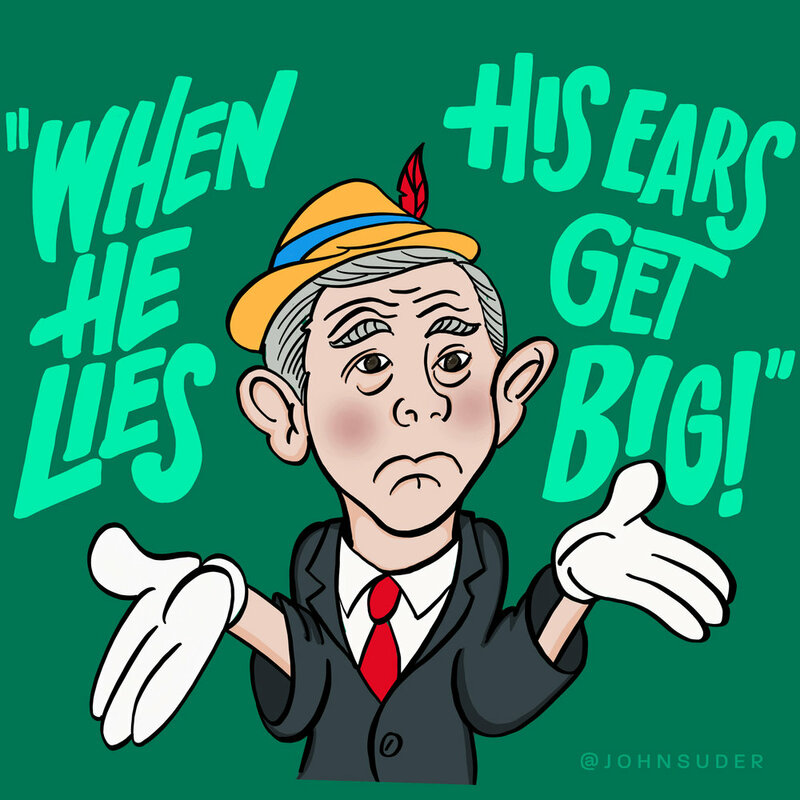 'When He Lies, His Ears Get Big' | Daily Drawing #386. Our Attorney General Jeff Sessions lied under oath, forgetting about meeting those pesky Russians. In case you hit your head last night and didn't realize what day it was. I went back to my psychedelic lettering roots on this one. I started this a few weeks ago, but the way things have been lately, I figured I'd finish it up and post it. 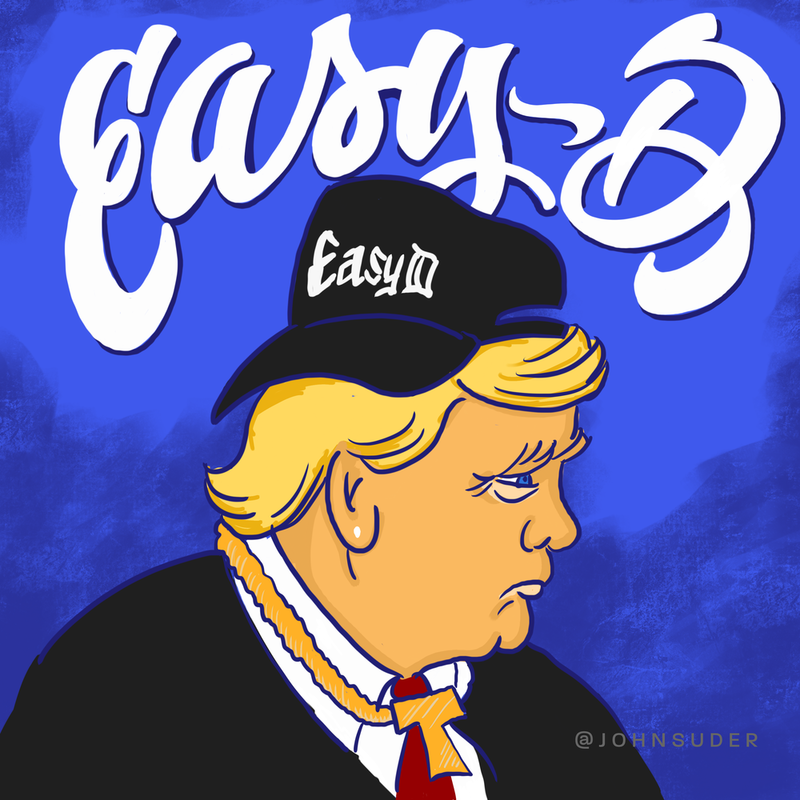 Today, 45 tweeted about something or other about an 'Easy D', who I suppose is a protégé of rapper Easy-E. This drawing was streamed live on Periscope with the ProCreate app. Follow me on Twitter for more live drawings. A quick portrait of Sean Spicer, White House Press Secretary, and prolific gum chewer. Lyric from ‘Upgrade (A Brymar College Course)’ by Deltron 3030. ‘Bikers for Trump’ announced that they were coming to the Presidential Inauguration on Friday to create a ‘wall of meat’ to protect Donald Trump. Seemed like a perfectly good opportunity to draw letters made of bacon.